When it comes to the Best Weed Eater also called a Weed Wacker or String Trimmer, they are a necessary and great tool for around the yard. Weed Eaters come in three varieties, Gas Weed Eater, Electric Weed Eater (using a cord), and Cordless Weed Eater (using rechargeable batteries). A gas weed eater is messy, you have to deal with gas and oil. They are usually difficult to start and they are much heavier. An Electric Weed Eater uses an extension cord that you have to haul around the yard, why would you want to do that? A Cordless Weed Eater uses a rechargeable battery. No gas, No oil, No Cords and they work great! This list consists of what I think are the best cordless weed eaters. If you are looking to do some trimming higher up make sure to check out the Best Pole Saw reviews! Keep reading to see why these are picked as some of the best weed eaters available. The BLACK+DECKER LSTE523 20V Max Lithium POWERCOMMAND Easy Feed String Trimmer/Edger makes the best weed eater list because it has many great features. The Black and Decker weed eater features a PowerDrive Transmission, allowing the motor to transfer more power into the cutting string. This means that the trimmer will cut grass and weeds faster. This is an especially handy feature if your yard is large and you don’t want to spend a whole day cutting grass. Thanks to its power, this model is ideal for light and medium jobs. Compared to other models on the market, the Black and Decker cordless trimmer is lightweight and easy to control. This makes it an ideal choice for those of you who don’t want to feel like they had a workout after doing some yard work. Thanks to a Comfortable handle and height adjustment, you can easily adjust the string trimmer the way it best suits your needs. What also contributes to its ease of use is the cordless design. 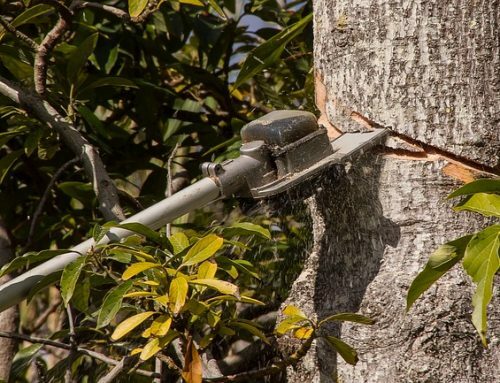 A corded string trimmer limits the size of the area you’re using the trimmer on, and is very hard to move if you have a lot of trees and obstacles in your yard or in front of your house. And that’s where this cordless string trimmer comes in handy. The Black and Decker weed wacker gives you better flexibility and mobility, as you won’t have to worry about the length of the cord. Also, you can easily reach places around trees, and other obstacles, leaving them neat and perfectly shaped. The head rotates enabling you to switch swiftly between hedging and cutting tasks. However, when the head is rotated, it will be in an awkward position. You won’t have the best view in front of you, because of the shield. Easy Feed Spool makes sure that there is no bumping, so that you can get the job done much faster. This Black and Decker cordless weed eater comes with a 20-volt battery. A useful feature is the PowerCommand dial, you can choose whether you want to maximize run time or want to maximize power for cutting through thick weeds. 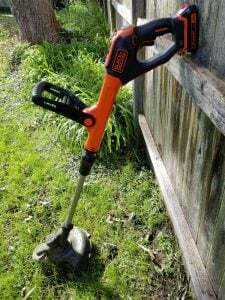 The Black and Decker makes it on the best weed eater list because it is a well known brand with a lot of history and works great. Another reason why it is on the best battery powered weed eater list is that the batteries are interchangeable with other Black and Decker rechargeable battery operated tools. Many other brands offer this feature as well, but with the large range of tools Black and Decker has to offer it makes general around the house jobs much easier. makes it onto the best weed eater list because we think it’s powerful, reliable, precise, and easy to use – this string trimmer is an ideal choice for those who want only the best and aren’t afraid to spend a few extra bucks in order to get that. So, let’s see why this model is considered one of the best models on the market. The DCST920P1 Dewalt Brushless String Trimmer excels in performance. Why? Well, because it features a brushless motor. Brushed motors make too much noise, restrict maximum speed of the motor and at last, brushes will wear out. But, these motors are cheap and setup is simple. On the other hand, brushless motors are pricey but are certainly worth the money. These motors are more efficient and more precise since the computer controls them instead of mechanical brushes. Moreover, a brushless motor produces far less electrical noise than a brushed one. Also, it will cool down easily. All this means that the motor will last much longer. So, thanks to a brushless motor, this trimmer is highly efficient and is also very durable. Because of the powerful motor, you can use this trimmer for light or heavy-duty work. It is ideal for edging, trimming hard-to-reach areas in your yard, and for cutting through weeds and tall grass. Obviously, the unit will take longer to cope with thicker weeds and long grass, but it will still get the job done and will do that properly. What also contributes to great performance is the 13-inch cutting swath that makes fast work of cutting and edging. Just to point out, this is one powerful cordless string trimmer. This means, that you have to wear protective glasses, gloves, boots and long pants because the trimmer will kick up debris. The last thing you need when trying to make your yard stunning are legs covered in scratches. So, your safety comes first. Since this Dewalt weed wacker comes with two lines, it will cut more grass (compared to single-line models) which means you will get the job done much faster. Also, the Dewalt cordless weed eater comes with a bump feed. Meaning, a bump-feed will release the line from a spool only when you knock the head of the trimmer on the ground. Models with an auto-feed perform better, so it’s no wonder that a bump feed on this trimmer doesn’t perform so great. Apparently, from time to time it tends to get stuck. As already mentioned, the Dewalt weed eater comes with a brushless motor, therefore it is very quiet. Needless to say, this feature is just priceless especially when taken into account that most models are very noisy. Battery life is where cordless string trimmers usually fail. But, that’s not the case with the Dewalt string trimmer. This model comes with a 20V MAX 5.0Ah Lithium Ion Battery (along with charger) allowing you to do cutting and edging tasks on a single charge or two charges (depending on work area). Moreover, a Variable trigger with speed control allows you to choose ideal speed so that the battery won’t empty too quickly. When on the lower setting, the battery can last up to one hour, which is pretty impressive if you ask us. Similar models can work for about 30-40 minutes per single charge. On the high power setting, the unit will perform for about 30 minutes, which, again, is quite notable. However, a slight issue is that the battery tends to get hot, so you’ll have to wait for it to cool down in order to connect it to the charger. On the bright side, charging time is just amazing. Finally, you will love using this remarkable cordless string trimmer. It is super-light as it weighs only 8.5lbs. Additionally, the unit is well-balanced, which means there won’t be too much pressure on your arms and your back. Obviously, this results in easy maneuvering and enhanced control over the unit. also makes it onto the best weed eater list. First, let’s talk about the design. There are trimmers with straight and curved shafts. Shaft refers to the transmission of power from the motor to the lines (lines do the cutting job). Now, a trimmer with a curved shaft is lighter, therefore, it’s a whole lot easier to control it. On the other hand, a trimmer with a straight shaft is a great choice for tall users and for those who don’t have any difficulty to control the unit, due to weak arms. The Greenworks weed eater that we’re reviewing here has a straight shaft, thus you will easily reach beneath bushes, and around trees. Another thing worth mentioning is that the Greenworks weed eater is extremely well-built. It’s sturdy and reliable, therefore will keep your yard in perfect condition for years to come. The price is reasonable, so this unit is a smart investment and will certainly pay off in the long run. Also, the Greenworks trimmer has a sturdy handle, so you shouldn’t have any trouble with maneuvering, whether it be trimming or edging. Even though the Greenworks string trimmer is not as light as other models on the market, it’s a good choice for people who have strong arms. Lastly, this model is a cordless weed eater. Thanks to this, you won’t have to worry about how long the cord is, because there is none. Moreover, the Greenworks trimmer is great for edging and trimming hard-to-reach areas, as there won’t be limitations and you will be able to move freely. Now, let’s see how the Greenworks weed wacker performs. If you need a trustworthy cordless string trimmer to keep unwanted grass off your sidewalks, driveway and cut grass in your small yard, the Greenworks trimmer is one of the best trimmers on the market. However, if you need a trimmer that can handle thick weed and tall grass, this model may not be a good choice, simply because the battery will empty too quickly, and you will have to charge it too many times, in order to get the job done. Needless to say, this won’t be efficient at all. The Greenworks trimmer excels when it comes to edging and reaching beneath bushes. Thanks to an amazing pivoting head that can be rotated in three positions, you’ll easily maneuver the trimmer when edging your lawn in points where it meets a sidewalk, or when trimming around the trees. So, if you have to do a lot of edging, you’ll definitely appreciate the spinning head. Since the Greenworks string trimmer is a single-line, it won’t cut as much grass as two-lines models. However, it still performs great when it comes to cutting moderate-length grass. Another handy feature that we love about this string trimmer is an Auto-feed head. While some models feature bump-feed that will release line only when you bump the head of the trimmer on the ground, some models come with a fixed-line head that uses short lengths of line in order to prevent line getting tangled. But, why waste your precious time on releasing line, when you actually don’t have to? The G-MAX 40V comes with an auto-feed head. This means that it will automatically release the line when needed, so you won’t have to worry about that. You shouldn’t have any trouble controlling and using the Greenworks trimmer since the unit is well balanced. Plus, the model comes with an instant electric start, which makes using it a whole lot easier. Just press the button and the unit will turn on, without wearing your arms out. Less vibration offers ease-of-use and better control over the weed eater. When it comes to the battery life, the Greenworks trimmer comes with 40V 2Ah Battery, but you can also use 4AH battery. The average run time is around 30 minutes per charge, which is pretty solid run time. Charging time for a 2AH battery is 60 minutes, and for a 4AH battery, it is 2 hours. Greenworks also makes it on the best corded electric lawn mower top 5 list as well. The Toro 51484 Cordless 12-Inch 20-Volt Lithium-Ion Electric Trimmer/Edger with Bare Tool has many great features that puts it on the top 5 best weed eater list. The Toro weed eater comes with a straight shaft, which is ideal to enable you easy reach beneath small bushes and other hard-to-reach areas. In addition, this shaft offers extended reach, to make this kind of trimming even easier and faster. So, if you have many obstacles in your yard, you will easily trim around them and won’t even get tired. The Toro weed eater is not only capable of trimming, but it’s also great when it comes to edging tasks. Thanks to 90 degrees rotating head, with the Toro weed wacker you will get rid of annoying grass around your sidewalks, along sides of your house, and anywhere else where you want to have a neat green area. The trimmer is easily converted to an edger with the simple push of a button. The 20v Lithium Ion Battery (not included) is a great feature which makes it easy to get around your yard. Naturally, since there is no cord to get in the way of making your yard beautiful, you’ll move without limitations. That’s why this Toro weed wacker is great for small yards with a lot of trees and obstacles. As you probably already know, many models come with bump-feed, which requires that you hit the trimmer’s head on the ground In order to release the line. That can be time-consuming, making trimming a tad longer than expected. But, you won’t have to worry about that with this handy trimmer in your yard. It features an auto-feed function, so the line is automatically released when needed. Better yet, there is a trigger and when you pull it, the line will give you just the perfect cutting length. Since it is battery powered you (and your neighbors) will surely appreciate is that this model is quiet, allowing you to have more relaxing time while trimming your yard. As far as ease of use is concerned, the Toro string trimmer is lightweight and well-balanced. Additionally, the unit features a 14 inch adjustable handle. You won’t have any difficulty with controlling it so you can fully concentrate on getting the job done quickly. is well-built, and easy to use. It easily makes it on the best weed eater list. Made of high-quality parts, the Worx weed eater is durable and won’t break. Moreover, a 3-year warranty only adds to the reliability of this model, making your purchase worry –free. No doubt that buying this amazing string trimmer is a good and smart thing to do, especially if you want to have the most beautiful garden on the block. Thanks to the adjustable spacer guard – you can use this machine to trim grass and weeds in your garden, without worrying whether you will accidentally cut your favorite flowers. 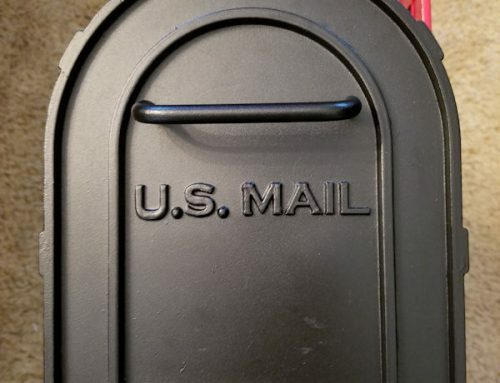 Also, this handy feature is ideal to protect decorative items in your garden and yard from getting damaged during the trimming. Thanks to the straight shaft, the Worx weed wacker is a good choice for tall users, as you won’t have to bend over when edging or trimming. The straight shaft is also great when it comes to reaching hard-to-reach areas, such as beneath bushes. Additionally, the Worx weed eater is cordless. Compared to corded models, which heavier limit your work area (due to the cord obviously), with cordless models you will have much more freedom and flexibility. 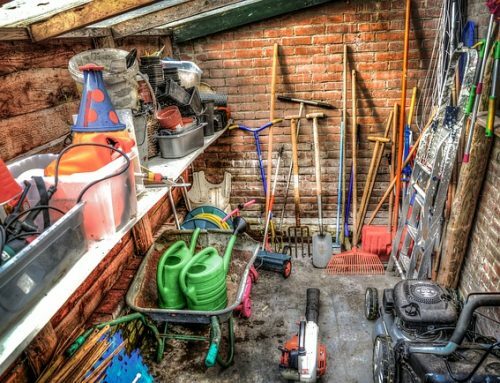 This means, you can move however you like, and can easily reach any green area in your yard, whether it be around your house, garage, or simply around the trees. It seems like the Worx weed wacker is designed with convenience in mind. It is easy to use, allows for quick work of trimming, edging and mowing. But, what about comfort? Let’s be honest here, a lot of trimmers are not very comfortable. But not this one. Luckily, Worx thought of the users’ experience and wanted to provide them with a good and comfortable grip. And they definitely succeeded in that. Thanks to the front auxiliary handle that has seven locking adjustments, you can adjust the trimmer just the way you like it. You can adjust the angle, rotation, and shaft length, to make the most out of your work. Whether you plan to do some trimming, edging or mowing, fatigue in your arms won’t stop you from getting the job done. Furthermore, the Worx trimmer comes with a MAX lithium battery that weighs less than most batteries, making this unit easier to control and use. What makes the Worx trimmer stand out from the crowd, is its 3-in-1 Capability. If you need to trim grass or cut weeds, you can do that without any problem. If you need to edge sidewalks that will also be a breeze. You don’t need any tool to convert the trimmer to an edger. What’s more, when you want to do some thorough trimming around hard-to-reach areas and landscape, this model won’t let you down. Dual-positioned in-line wheels are not only designed to make edging easier but to also be used for a mowing-like function. What also makes the Worx trimmer so good is an auto feed. Thanks to this useful feature, you won’t have to deal with releasing the line and untangling it. The auto feed function makes sure that the right length and amount of line is released when needed. The 12-inch cutting diameter makes trimming much faster. Plus, the trimmer head can be easily adjusted for edging. The Worx weed eater features a MAX lithium battery, which provides up to 35 minutes of continuous work. This means that the battery life is good, even better than some similar models. Of course, don’t expect to use the Worx trimmer for thick weed and tall grass for 35 minutes, because that won’t happen. Obviously, in that case, the unit will draw more power from the motor in order to handle them, so the battery will empty much faster. Now, charging the battery is where this model fails to impress. Charging time is about three hours, which is very disappointing and even irritating. But, if you can trim your yard on a single charge, then you won’t have to worry about this.